during my walks in late January. 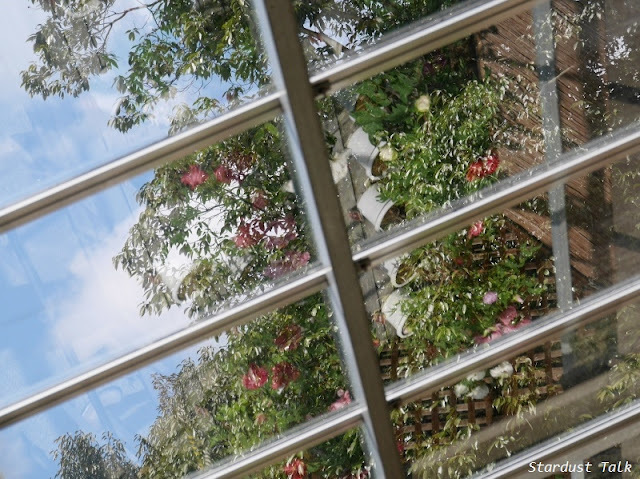 I like to see the reflection on the glass roof of a greenhouse. I like to find something attractive in the winter pond. I like it when pine needles are spread over the mosses artistically. and reminds us of the gentle cares by the gardeners. I like it when winter leaves pop out making patterns. The backdrop was fresh mosses. 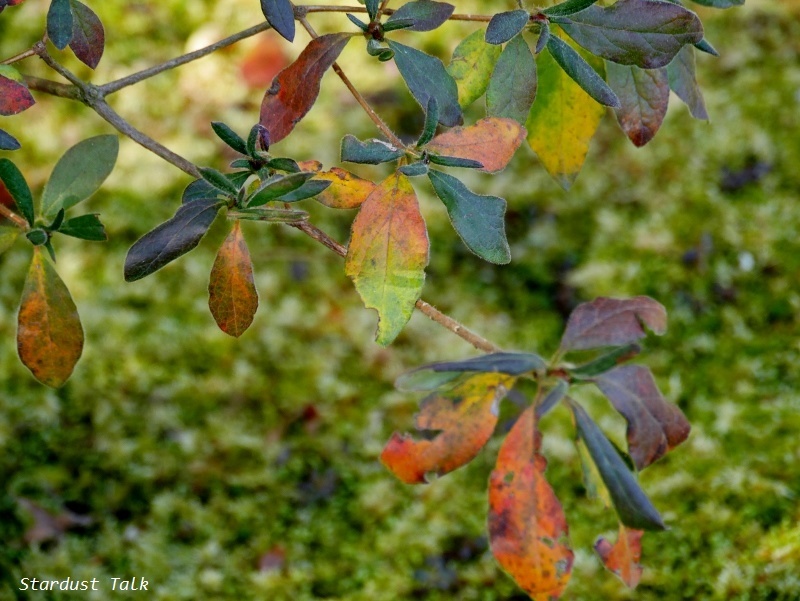 Mosses can thrive bright and fresh even in the frigid cold. The pine-needle covers seem to protect them not from frost but from footsteps. What caught your heart during your walks recently? Snow, snow and more snow. LOL. Full blown winter here in Canada and freezing! But - the skies were a serene blue today and the sun shone down painting the snowbanks gold. This evening when I went out on my back deck to get some air (even when it's cold, I like to get a bit of fresh air after dinner), I could see bright, clear stars in a black velvety sky. Your pics are gorgeous! So detailed, capturing each scene splendidly! I've never seen pine needles arranged in patterns before - or never really noticed. 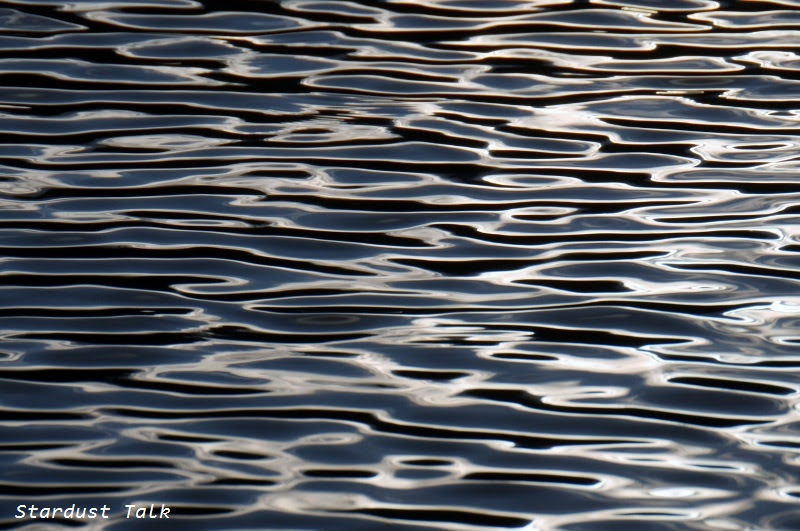 I love how you photograph water wave patterns; it almost looks like rippled glass. I think my favourite is the last pic of the winding path and little hut in the distance. Beautiful! I always love to see how you capture the beauty around you. I'm travelling at the moment so not walking much in the area. It's very hot and dusty here right now. Dear Yoko - winter looks as if she is being graceful and benign with you in Japan giving you shadows, blue sky, and sunshine. 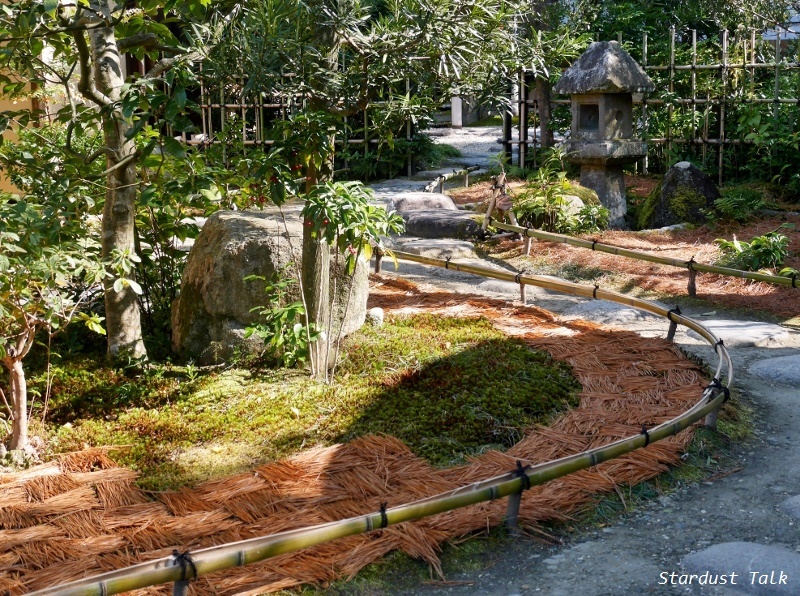 The pine needle patterns are delightful - what a charming, playful, and artistic thing that the gardeners have done with them. I've never seen pine needles arranged like that, very pretty. Frost, mists and low-angled sun have been catching my eye on recent walks, as well as a scattering of snow and a similar scattering of snowdrops. 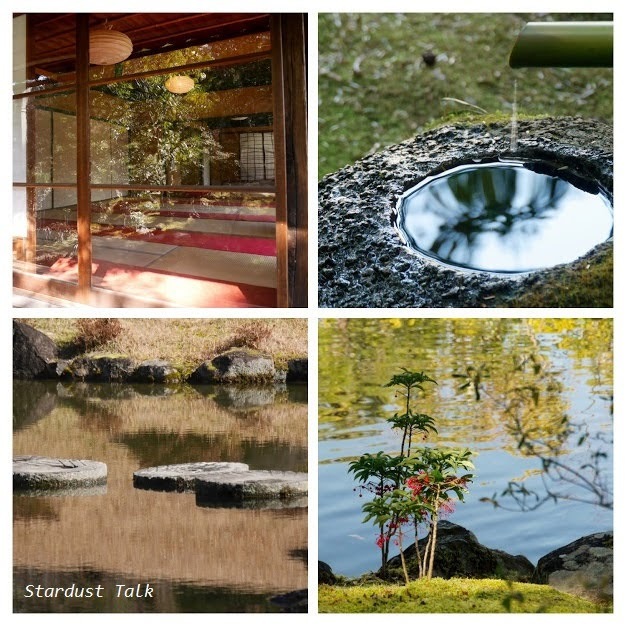 These are lovely shots of patterns, stardust, and an interesting way of looking at the familiar but seeing new detail in our surroundings. Patterns are fluid and constantly changing, sometimes infinitesimally and sometimes more apparent such as the water waves. Capturing a precise never repeated moment in time with a camera is like locking up a treasure. Hello, Yoko. glad to hear your peaceful mind in these pictures. Pine needles design grasped my atttention. Have I seen it in Japan? Can't remember. What caught my heart? Physically, frost. We have another wave of cold. This winter in our region is practically snowless - not much to see. Looking forward to spring! Great catch from your January walks. I especially loved the 2nd photo with the reflection on the glass roof. Have a cozy February ! Yoko: You have poetry in your soul, and it shows in the beautiful images that you create with your camera. I love the pine needles arranged in a pattern. There's a big pine tree near my house, and when the snow melts, I'm going to see if I can make a pattern like that! I have already admired your wonderful photos. I love reflections in the water. They are very interesting. Paths made of pine needles look great. Hello, Lovely place for a walk. Gorgeous scenes and reflections. Lovely collection of photos. Happy Monday, enjoy your day and have a great new week ahead. I love noticing the background of photos when I put them on my computer...love your leaves and mossy background! 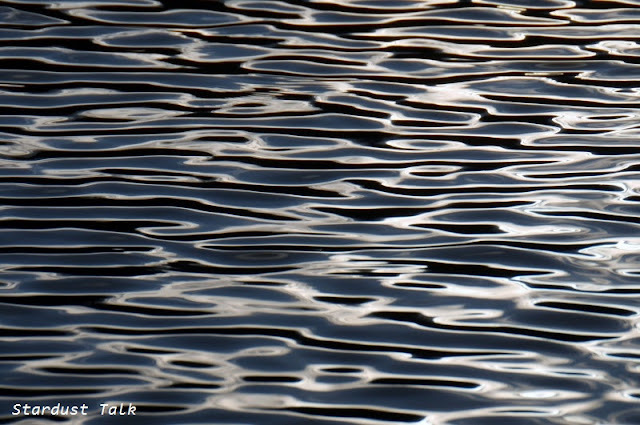 And the water looks so neat with the ripples! Enjoy your week! Fantastic reflections Yoko. The photo of the reflection in the ceiling in very original. I always learn something from your photography. For example, the first picture. Most people shoot the reflection AND the source of the reflection - your picture is unique in that it's only the reflection. And the second picture - looking up - I just don't look up enough! So lovely. As others have mentioned, I have never seen pine needles used in this way - very creative! Thanks for joining Mosaic Monday this week - we enjoy your posts very much! Patterns of pine are lovely. The red carpet across the window makes me feel nostalgia. Loveliness abounds in your words and photos. Thank you. Its such a lovely pattern of waves. 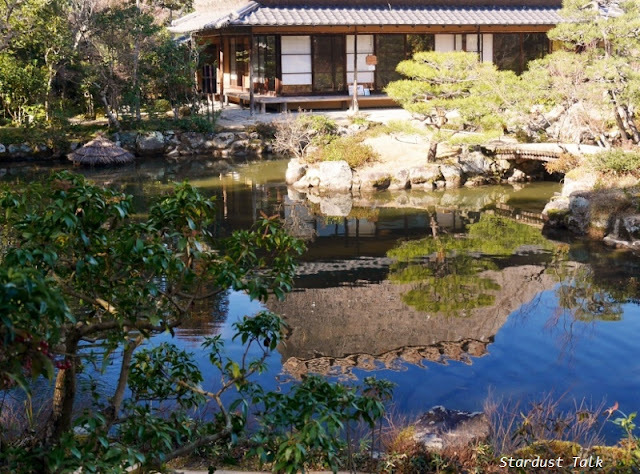 Love the pond reflection too. Like fairy land. 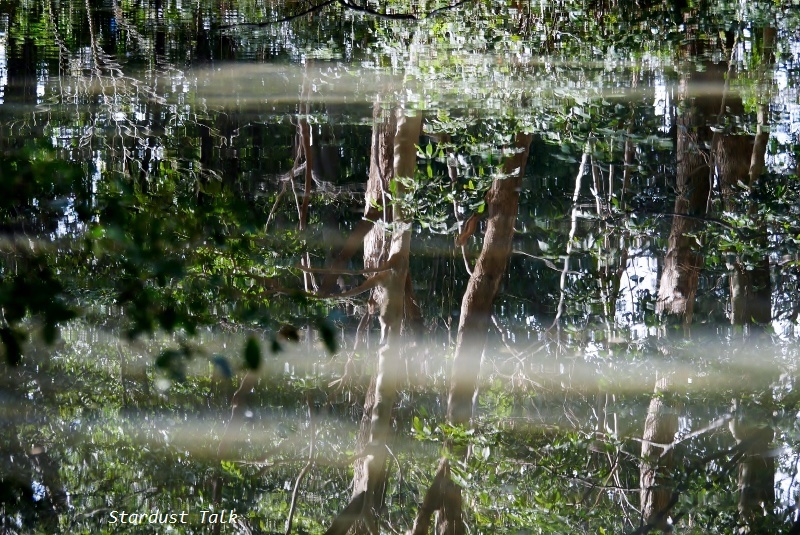 The reflection photos are really lovely, as are the patterns of pine needles in the park. I've never seen anything like that. As you mentioned, the patterns reflect such care and gentleness. I love seeing the reflections and the backgrounds of your photos! We saw hundreds of Sandhill Cranes flying over yesterday! That was our excitement this week! Hugs! Preciosas fotos! Saludos desde Chile! 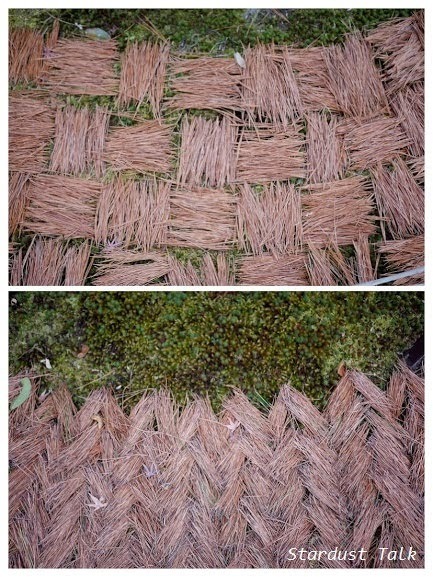 Hi Yoko, I really love the pine needle patterns and your reflection photos. What I cherish about Japanese gardens is their simple beauty, allowing some negative space for the eye to rest. Your capture of the tiny pool at the water pipe is wonderful. Ben turns 16 today, and he's asked for a Panasonic Luminar camera as a gift. We've told him we'll buy a lens of his choosing for it. I told him I know a lady in Japan who creates magical photos with a similar camera! i find these splendid images so appealing! hugs and wishing you a very happy new year filled with countless blessings my friend! I have never seen pine needles used like that on moss, so lovely and interesting. Here I am guessing they would be tossed on the moss without design. Your water reflections are beautiful. So amazing to consider these photos are taken in winter...... green and liquid waters.... not here, everything is frozen and sleeping.